The XDJ-R1 is an industry first, all in one DJ system. The unified deck is rekordbox ready, equipped with the exciting new remote mixer and crammed full of Pioneers pro DJ range features. Pioneer has designed the XDJ-R1 so that it is out of the box ready, the days of DJs faffing and fiddling with cables and extra equipment are over! The combined deck fits in two CD drawers, two touch sensitive Jog Wheels, a USB playback and a two-channel mixer. And in addition, Pioneer have taken inspiration from their flagship models, and added a multitude of effects and functions pinched from their popular industry standard set ups! The XDJ-R1 system is also fitted with multiple input/output options, whether that be an AUX, BOOTH OUT, MASTER OUT(XLR) or MIC. This means that the system can be connected to CDJs and turntables and used as a standalone mixer! The XDJ-R1 features a high quality audio circuit, ensuring that your set will blast through the speakers in the most pristine sound condition possible, even at the highest of volumes in the busiest of clubs. The XDJ-R1 can be used with rekordbox, USB, VIRTUALDJ LE and CDs. Tracks prepared in rekordbox can be converted to a USB storage device, just like in the Pioneer professional range, meaning that you can use the XDJ-R1 as a standalone system. One feature that really distinguishes the XDJ-R1 is the innovative remote mixing feature. 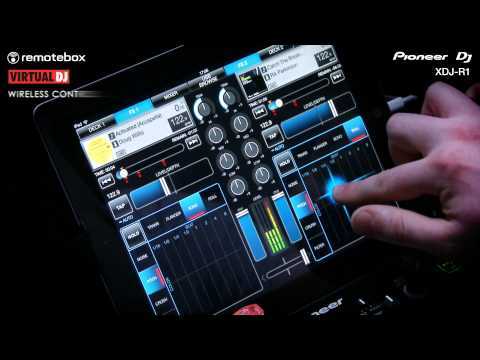 When you use your XDJ-R1 in conjunction with the free remotebox app (available from Apple APP Store), your sets suddenly become so much more interactive. The remotebox app will set up a private wireless LAN, enforcing a reliable connection with your iOS. 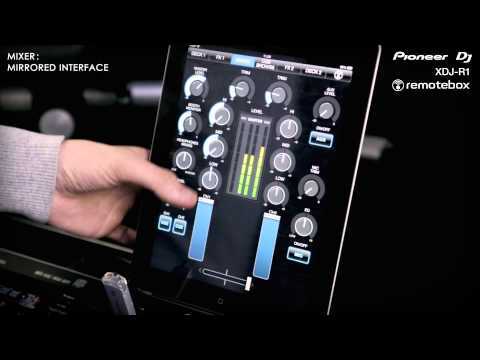 This allows you to mix with remotebox, from your device and so liberates you from the booth. It even permits you to interact with the crowd more, encouraging them to get involved in your set and so developing a new-age clubbing experience. 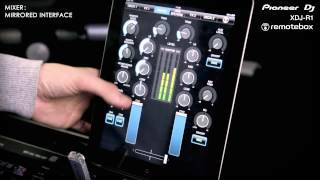 DJkit consider the XDJ-R1 to be the ideal all in one DJ system, both practical and saturated with features. On top of it’s professional design, the innovative remotebox feature makes the XDJ-R1 a must have industry –first, ideal for any experimentalist DJ. Considering purchasing the Pioneer XDJ-R1? Have questions? Ask people who've recently bought one. Do you own the Pioneer XDJ-R1? Why not write a review based on your experience with it. I bought this as a first foray into digital DJing. I'd held off as I didn't like the idea of laptop DJing. Having started in the vinyl era I prefer to be more hands on so had reluctantly held on to my cd decks for far too long. I wish this product had been out years ago. For a mobile DJ this is perfect. The ease of USB/Ext HDD use and CD format for mp3 or CDA is brilliant. It has a few effects too which are useful. I've managed to cut my kit weight down by about 20kgs which is good on the back! On the downside the reading of BPMs for CDs is slow and the eject/receipt of CDs is also slow. The AUX channel doesn't have an EQ facility and the EQ on the MIC channel is very basic. I had a few issues with the rekordbox software you need to use to analyse your tracks but the latest update seems to have fixed those. Also missing is a facility to record your mixes/show. Make sure if you buy this product you update the firmware to the latest version before you do anything else! Had this for over 6 months now, amazing bit of kit. Works just like using CDJ decks but with the added bonus of being one unit. Love using this and if you are a serious DJ it will keep up with anything you throw at it. An amazing bit of kit for the money . Has some cool effects and the rekordbox app you can play away until your hearts content . Solid , robust and a great feel . Highly recommended and DJKIT are always the guys to work with. great at what it dose, i like this as you have so many different methods of play back , usb , cd , laptop , aux. saves carrying lots more kit, very compact. Good product but the rekordbox software needs a lot of work to stop it freezing all the time. The unit is good tho. Quality piece of machinery well supported by the magnificent customer service crew at dj kit who are on hand to help with any issue regarding using the machine. Sorry sales team forgot to mention you guys 100% top drawer !!! This piece of kit is excellent. I have other Pioneer Audio and Video equipment and the build quality is allways excellent. This XDJ-R1 is perfect for me. It has the CD decks and combines with USB technology to enable an easy transition from CD to USB based digital performance. It has clear and easily readible layout and displays. The available functionality and flexibility of the system comes from generations of truly inspiring DJ technology from Pioneer. I am looking forward to its first Christmas party this weekend. Very robust, no glitches, a brilliant piece of hardware. Used the XDJ-R endlessly and had great fun. The delivery was very quick also and financing option was very useful. Had no problems whatsoever. Being new to cd/digital mixing I did quiet a bit of homework on different products before making my purchase. pioneer xdj-r1 are amazing I love playing around with them. I am still new to it, but they make it easy. Would defo recommend to any new starter or ex vinyl dj. Djkit.com delivered promptly as promised and will use them again, excellent service from the staff on ordering. Thanks. 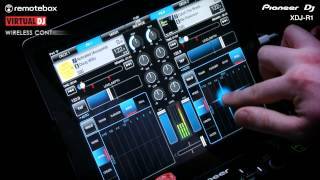 Seen a video for Pioneer XDJ-R1 online or have you own video? You will earn 1,758 loyalty points with this product worth £4.40, when logged in. Check out Pioneer XDJ-R1 on DJkit.com!